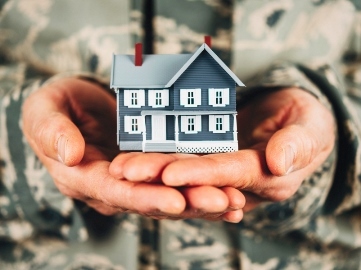 A bold ambition to end homelessness among American veterans has been launched by one of the country’s largest VA mortgage lenders. Quicken Loans in partnership with non-profit Community Solutions will aim to help veterans across the US with an emphasis on Detroit, Quicken’s hometown. The initiative will include financial and operational support for Community Solutions, which works in 60 communities across the country. “Together with Community Solutions and local partners, we will ensure that veterans are placed into permanent supportive housing, building the foundation they need to create permanent change," added Farner. Rosanne Haggerty, president of Community Solutions, says the partnership will have a direct and lasting impact for veterans experiencing homelessness. "This partnership signifies an important step in the national movement to end veteran homelessness,” she says. “Time and again it has been proven that the only way to achieve long-term success in this space is to work across groups and agencies, using data to drive a laser focus on housing. Seven communities have already achieved zero. This partnership will help many more reach that goal."